I have also gotten USMC military survival guides that I have from my time I was in the service and I am steadily studying. I’m sorry to bother you but I am very serious about this prepping. My biggest fear is the major changes in the climate or a possible nuke…. So here are my thoughts and answers for Chris’ email. 1) Great job on getting non-perishable food stored up as well as a source of protection for yourself in the form of the 3 firearms you mentioned. As for the flour, salt and oats (And even dry dog food) be sure to uses a storage method that will keep the items dry, protected from pests, and air tight. This will give you the longest possible shelf life for your goods. My favorite form of storage is 5-6 gallon food grade buckets and mylar bag liners. That coupled with oxygen absorbers and a cool dark place to store them is the best way to keep those items safe and sound for the long haul. 2) As for shipping containers, I think they are a great resource for an inexpensive shelter option for a bug out location (a place you retreat to in a time of emergency). As for burying them for a bunker application, its actually a lot more involved than you may think. Shipping containers were designed to handle incredible force from the top, but specifically at the edges and corners – NOT on the sides. So simply digging a hole, dropping in a container, and covering it with dirt would be a major mistake. Here’s another great video outlining how to set this up the right way. 3) Finally, the most important part – Knowledge. Again, I commend you on acquiring books, studying up on the subject, and taking the time to reach out to experts like myself with your questions. These bits of wisdom and skills are far more valuable than many other items you could buy. Those military guides are a good start! I would also suggest books like “Where there is no Doctor” and “The Encyclopedia of Country Living” to help you learn medical skills, and traditional agricultural skills. 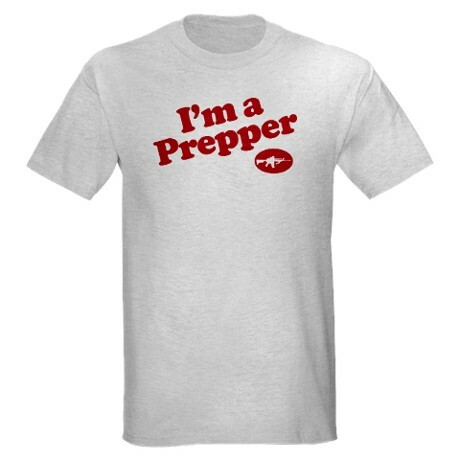 Also, I’m awfully proud of my own book – The Expert Prepper’s Ultimate Survival Guide. I created a short presentation to help wake up people (unlike yourself) who don’t see the looming dangers ahead. After viewing this helpful info, you’ll be able to click on the add to cart button and purchase a copy of my book.